Xerox on paper, 8.5″ x 11″. 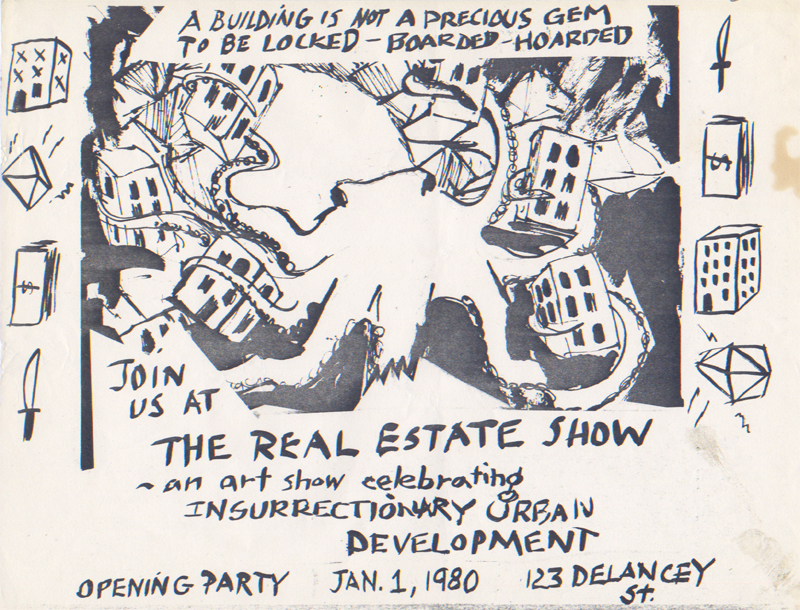 COLAB artists organized the “Real Estate Show” as a protest. Early in the morning of January 1, 1980, they broke into an unused city-owned building on Delancey Street and began installation. Though police shut down the exhibition almost immediately, subsequent negotiations between the artists and the city led to the establishment of ABC No Rio as a public art space in the Lower East Side. James Fuentes Gallery’s 2014 commemoration of the “Real Estate Show” illuminated the short-lived action’s continued legacy.